Welcome to Creative Blogging Day at This & That Creative! 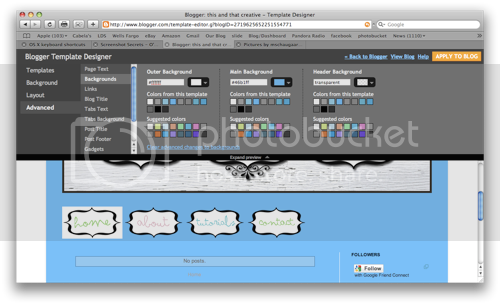 I am excited about our first post about how to make your own buttons for your blog! 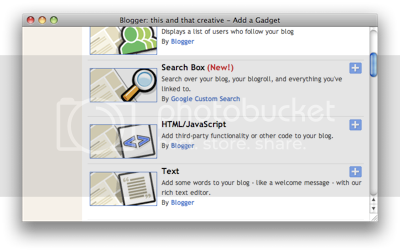 Making your own buttons helps to add a personal touch to your blog. They can make your blog fun, decorative, unique, and most of all, they are functional! You will then click on the SAVE AND PUBLISH button. It will give you the option to view the page. After you view it, copy the PAGE URL (the http://.... address you are at) and save it somewhere for future reference. Make sure you know what page this url will link you to if you are doing multiple pages. 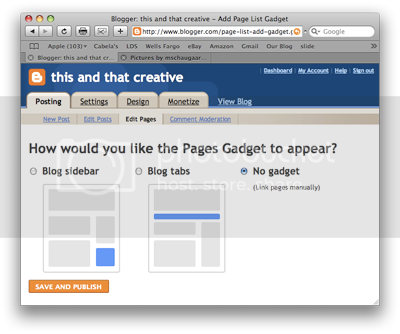 You will then make the buttons to link to your pages. Blogflux has a tool that can help you make the buttons and eliminate the extra steps that take time, like photoshop and illustrator. Personally, I like to take the extra step to do my own. With our buttons that are on this blog right now, I grabbed some free for commercial and personal use images that I liked and shrunk them down in photoshop to 150 pixels wide. Also, you don't have to use photoshop, there are other free image editing programs you can use online. You can make just a simple image like a circle or a rectangle and put some text on it. If you have picture that you took and like, you can go ahead and use that too. Make the images bigger or smaller to fit your preference. After I was happy with the size and background, I added some text from a font I liked. 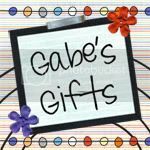 Check out dafont.com for some cool fonts. Most of them are free for personal use. After creating my button, I saved it as a png file on my computer because I wanted to leave the background transparent. If you are making a button from scratch that isn't rectangular or square, start off your image with Transparent as your selection in Background Contents like shown below in Photohop. When your new image shows up, it will show a gray and white checkered background that indicates that that part is transparent. (notice the unique shape---it's not just a rectangle). 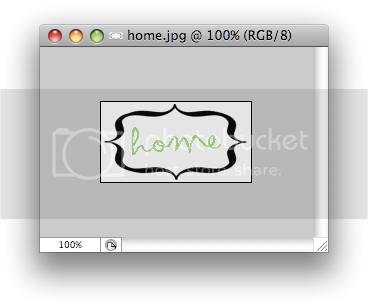 If you are doing a rectangular or square button, you can save it as a jpg, and it will work just fine! 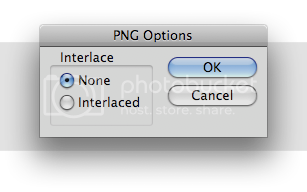 Then when I saved my image as a png on my computer, this box came up, and I made sure to select None for Interlace. After you have your buttons made, upload them to a image hosting site. 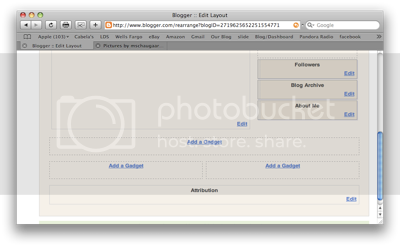 I use photobucket, but you can use any of the others that are out there like Flickr, Tinypic, etc. I have the BUTTON IMAGE DIRECT LINK highlighted in yellow in the previous picture. You will want to copy that link and save that for future reference, like you did with your PAGE URL. 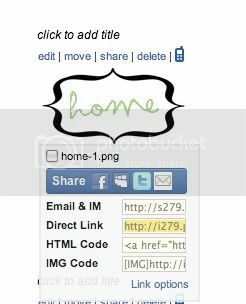 And, like before, you will want to make sure you remember what button image goes with what direct link. In the previous steps, you were told to save the PAGE URL and the BUTTON IMAGE DIRECT LINK. Now you will combine the matching page to its matching button in a code. Copy the code from the box I have provided, but insert your URLs where directed. Use the code to make a separate code for each button. 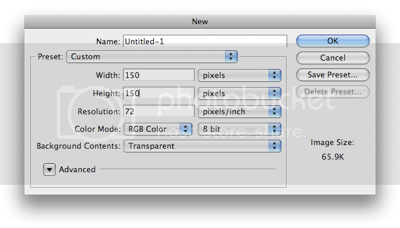 I have multiple codes in the box because I wanted multiple buttons to make up a menu bar. Remember that for your home button, you will not have a page url because that will just be the address of your blog. 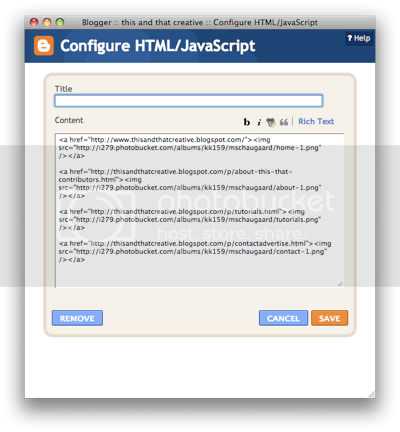 You will insert your blog address as the PAGE URL into the home button code. 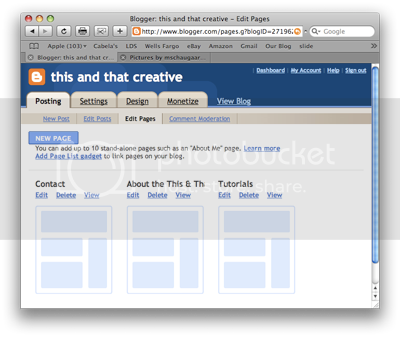 One mistake that I made before, was that I just put in www.thisandthatcreative.blogspot.com without the http:// in front of it. So remember to do that. If you have any questions just leave a comment, and I comment back and try to see if I can help. Also, I'd love to see your buttons! Leave a link to your blog in the comments if you want to share what you've made! 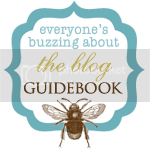 found your site on theladybloggers. your buttons are a great idea. love it. This is the best button tutorial ever! It was super easy to follow, and helped a ton! Thank you for making our blog cuter! Thank you so much for this!! It has taken me a few days to get it right but it had taken me months to find the answer!! فهي عندها التمكن من الانتشار داخل البيوت والشركات والفلل والمصانع فهي قادرة على التعايش داخل أي موضع فتقوم شركتنا باستعمال أفضل أشكال المبيدات العاملة على السيطرة على الجهاز التنفسي للصرصار وتقوم بالقضاء اللحظي علية مع ضمان عدم رجوعه مرة ثانية.